There are other differences in a child’s claim. One of the most important is the ability of the court to appoint a Guardian Ad Litem to the child’s claim. A Guardian Ad Litem is someone the court appoints to represent the child’s best interest in any verdict or settlement they receive. If a child receives a verdict or settlement for $15,000.00 or more the court MAY appoint a Guardian Ad Litem. If the child receives $50,000.00 or more the court MUST appoint a Guardian Ad Litem. The court may also decide to place the child’s settlement or verdict amount in a guardianship account that will go to the child as an annuity once they reach the age of 18. AS you can see children have the same rights and remedies as adults in the court system. However, there are many rules for navigating a child’s personal injury claim that requires the expertise and guidance of an experienced Miami Personal Injury attorney such as those at Friedland | Carmona. 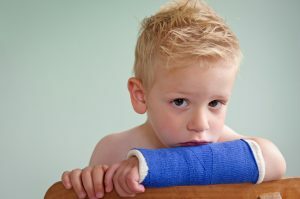 The South Florida personal injury attorneys at the Friedland | Carmona handle all types of negligence, product liability, personal injury, negligent security, slip/trip and fall, and car accident cases throughout the state of Florida, including Boca Raton, Homestead, North Miami, South Miami, Miami Beach, Coral Gables, Pembroke Pines, Hialeah, Kendall, Aventura, Fort Lauderdale, and Palm Beach. Call the Miami personal injury attorneys today and let our family take care of your family.